The incoming Trump administration will be “infested” with figures who “live in a world of their own” when it comes to supporting Israel, Palestinian-American academic and former Barack Obama associate Rashid Khalidi said this week. “That is to say, they think that whatever they want and whatever cockamamie schemes they can cook up can be substituted for reality. So they have a vision whereby the occupied territories aren’t occupied. They have a vision whereby there is no such thing as the Palestinians. They have a vision whereby international law doesn’t exist. They have a vision whereby the United States can unilaterally cancel a decision of the United Nations,” Khalidi added. Khalidi also expressed his opposition to the incoming Trump administration’s plan to move the US embassy to Jerusalem. Citing the 1947 partition plan (opposed by the Arabs who then launched the war that came to be known as Israel’s War of Independence), Khalidi said it stated that Jerusalem – both eastern and western Jerusalem – should remain under international authority. “By moving its embassy to Jerusalem, the United States is violating Israel’s birth certificate,” Khalidi said. He asserted that Israel’s “entire legitimacy” relies on UN Resolution 181 from 1949. Khalidi argued that moving the embassy would be a self-defeating move since the US would be “driving a stake through the heart” of Israel’s international legitimacy. Commenting on the incoming administration’s plans to clamp down on proponents of the Boycott, Divestment and Sanctions movement, Khalidi defended boycotts as a “time-honored American tradition,” noting that the establishment of the US started with a boycott of British tea. 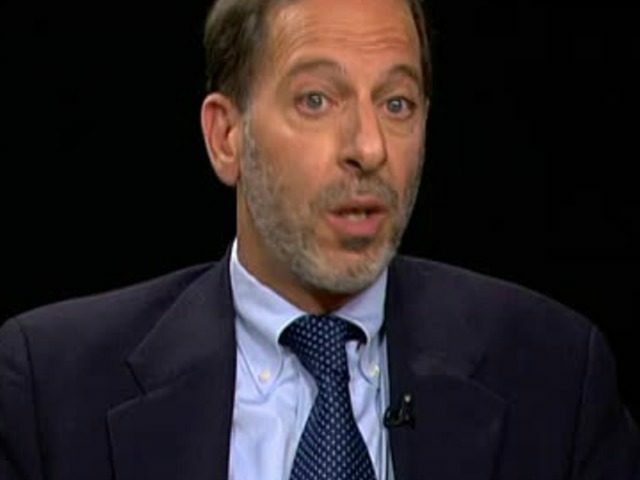 Khalidi said “attempts to make illegal this means of free speech” were “nauseating” and predicted that courts would strike down efforts to silence the staunchly anti-Israel movement. Khalidi, a harsh critic of Israel, was a close personal friend to Barack Obama when the two taught together at the University of Chicago. Khalidi lectured at UC until 2003 while Obama taught law there from 1993 until his election to the Senate in 2004. Khalidi’s wife, Mona, was president of the Arab American Action Network, or AAAN. The group received financing from the Woods Fund, a Chicago nonprofit where Obama served as a paid director from 1999 to Dec. 11, 2002. Obama sat on the Woods Fund board alongside Bill Ayers, the unrepentant former member of the Weather Underground domestic terrorist group. Khalidi and Obama reportedly lived in nearby faculty residential zones and the two families dined together a number of times. In 2003, Obama reportedly provided a glowing testimonial for Khalidi when the professor left UC to take a new position at Columbia University.